Multiway Bandeau Colour Block Swimsuit is rated 1.0 out of 5 by 1. 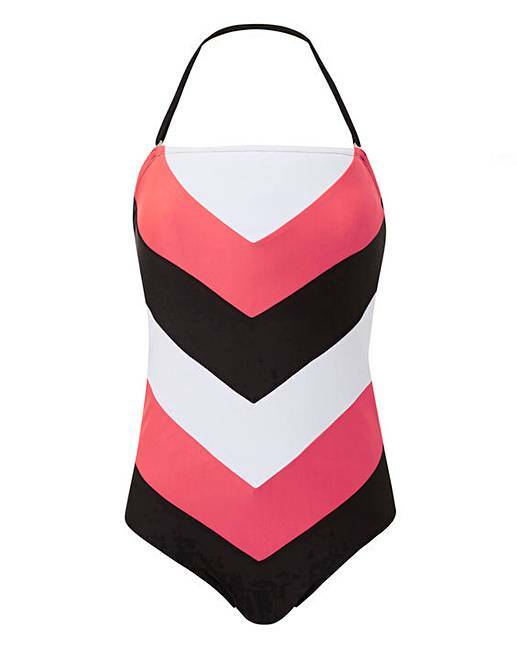 Flatter your figure in this chevron colour-block swimsuit. 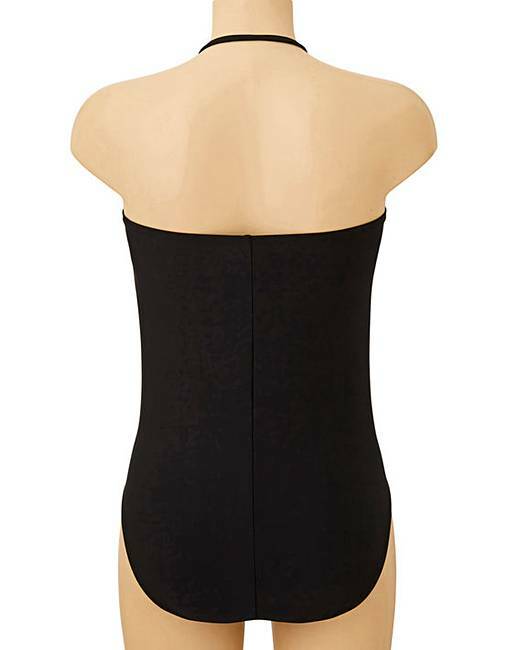 With cleverly designed panels to streamline your figure, this swimsuit also features a removable strap to help customise the fit to your body. Complete with inner bust shelf. 86% Polyester, 14% Elastane. Lining: Polyester. Power Mesh: 77% Polyester, 23% Elastane. Rated 1 out of 5 by Berni from Very disappointed Very poor sizing... not long enough in the body. I’m 5’10 & a size 22. It was extremely tight & didn’t cover the bust. I’d say size up 2 dress sizes if ordering.